Legendary Rolling Stones frontman Mick Jagger has posted his first photograph since reportedly undergoing heart valve replacement surgery in New York, showing him standing casually before trees in bloom. "A walk in the park!" the 75-year-old singer said on Twitter and Instagram Thursday, alongside a photo in which is seen clad in black sneakers and with his hands in his jean pockets. The post prompted thousands of fans including fellow rockers Lenny Kravitz and Jools Holland to send their good wishes. "Yeah man!" Kravitz wrote on Instagram. The flamboyant Stones founder's post came one week after he said he was "feeling much better now and on the mend" following what industry tracker Billboard said was a successful minimally invasive procedure. The transcatheter aortic valve replacement allowed the artist to avoid major surgery that would open his chest. Doctors accessed the heart valve of the British rocker through the femoral artery in his thigh, Billboard said, meaning he needs rest to ensure there is no severe bleeding. After the band that formed in 1962 announced the tour postponement of 17 shows in the US and Canada, Jagger tweeted that he was "devastated" and would "be working very hard to be back on stage as soon as I can." 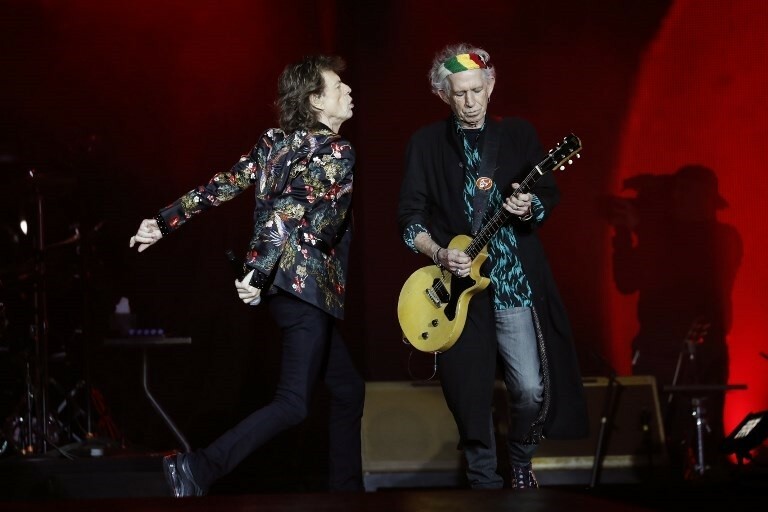 Jagger, who has eight children, five grandchildren and a great-granddaughter, has maintained his energetic stage performances well into his 70s.